Surge Protectors for Your Home or Business! 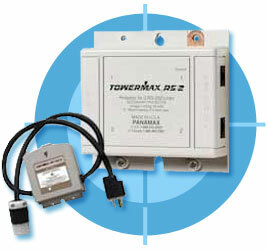 - For over 25 years Panamax has been the inovator in surge protection products for your home and business equipment. Panamax has designed surge protectors for almost any type of electrical product you can buy: Telecom & Datacom, Office Machines, Service Entrance, Computer Networking, Home Audio/Video, Home Office, and Satellite. All signal lines, even telephone and data, need to be protected from damaging surges. Panamax provides an extensive range of products designed to cover all your telecom & datacom needs. High-speed copiers, fax machines and other expensive office machines have become essential to getting work done. Downtime can wreak havoc with office productivity. Reduce service calls while enhancing overall office efficiency by protecting your crucial equipment from power problems with Panamax. Power protection products for the residential and small commercial service entrance. Protect all of your appliances and equipment with Primax, Panamax's protection solution for surges generated outside the home or business. For complete protection of all your electronic equipment, combine Primax with Panamax's point-of-use surge protection products. From home-based personal computer networks to corporation-wide networks, Panamax provides the best protection available. From basic protection for a TV to an audio component style unit providing enhanced A/V system control combined with power protection. Panamax offers a wide range of products designed to protect, complement and enhance any audio/video or home theater system. From basic AC power protection to AC and telephone/modem line protection, Panamax has a comprehensive line-up of surge protectors for home and office use. Guaranteed protection in either a corded or direct plug-in format. 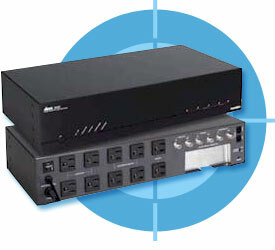 Panamax offers a comprehensive line of surge protectors designed specifically for satellite TV installations. Regardless of whether you have a DBS, C-band or KU band system, there's a Panamax model designed to protect it.